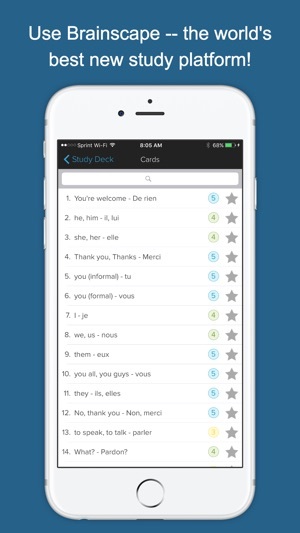 Drill yourself on the most common vocabulary words from your French courses and from everyday French conversation. 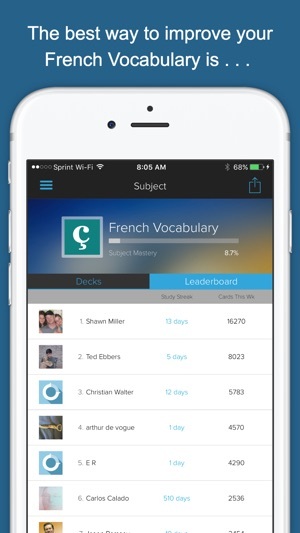 Boost your vocab FASTER than with any other app on iTunes. 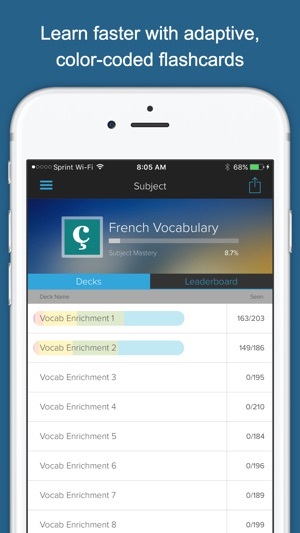 Applying the latest in cognitive science, Brainscape introduces vocabulary words in order from most foundational to most complex, and repeats them in a pattern that is just right for YOUR brain. The Brainscape team is made up of cognitive scientists and language specialists formerly with Columbia and Yale, as well as former executives from The Princeton Review and Kaplan. Our mission is to make learning easier and more convenient. Feel free to check out our website, and good luck studying! 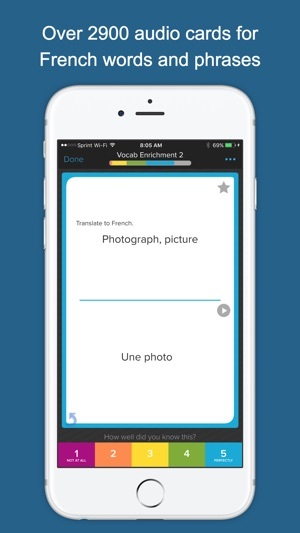 I am using this app alongside my a level French to ensure my basic skills are up to scratch whilst I am learning extended vocabulary, it is excellent as it shows the basic terms and also unfamiliar alternatives which are handy to know. The personalised studying features are great and are purely based on my own confidence levels in particular topics, as to repeat certain areas an appropriate amount of time. Definitely recommend! 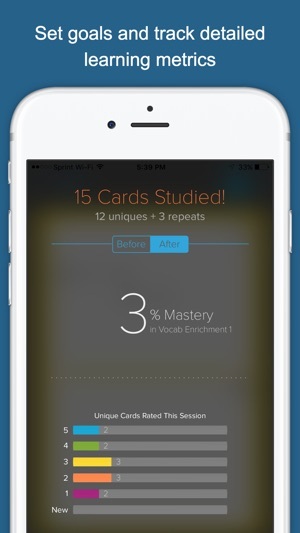 Excellent app to improve vocabulary for English speakers. The ability to rate your knowledge of each word based in your knowledge is extremely useful as the app will focus more on the words you don't know very well. Each word is read out in French so you can learn the pronunciation too as you go. It has really helped me. Highly recommended! I tried different apps for the same purpose but to be honest this app is the best of all. 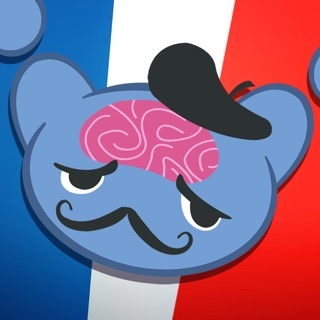 I am a beginner on learning French so that's why I mentioned that it's great for beginners. But if it's that good for beginners it definitely has the same strength for other levels! © 2017 Bold Learning Solutions, Inc.